2023 Jan 01	Uranus (5m7)	Time of conjunction: 22h 16.2m U.T. This New Year's Eve event will be visible in northern Europe only. 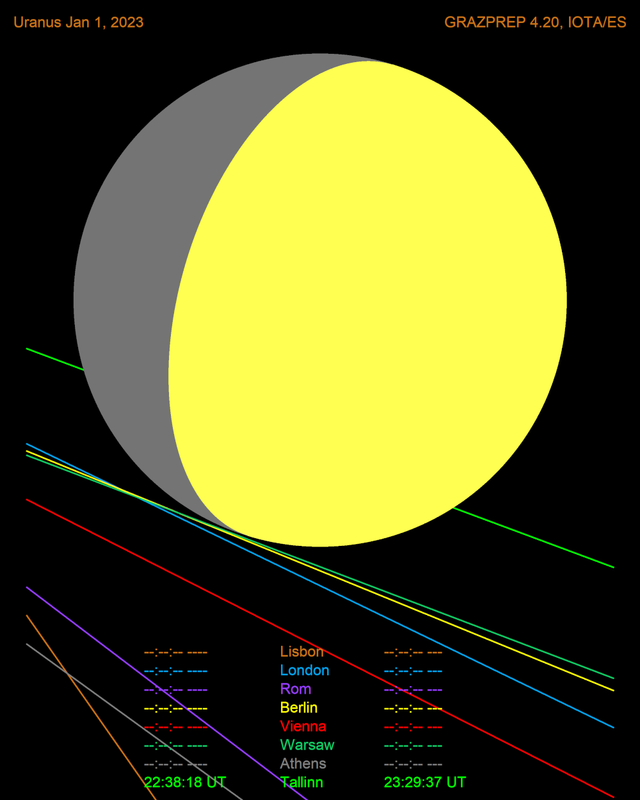 The graze line of the southern limb of the Moon will pass Wales, England, the Netherlands, northern Germany, Poland, Belarus and Ukraine. A bright moon will make this observation challenging.